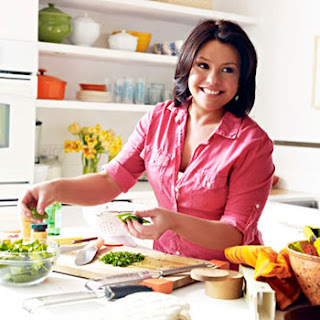 The New York Times reports that the Food Network will be creating a spin off to replace Fine Living and Rachael Ray will be among the stars on the new channel. The most exciting news, from my perspective as a Rachael Ray fan, is that her new show will be entirely different from anything we've seen before. Named “A Week in a Day,” Rachael's new show will have "a one-hour show about stocking up on the week’s meals." I was just thinking she wasn't busy enough. Since I became a mommy, I have started doing only one shopping trip a week, so this fits right in with my current practice and I look forward to Rach's tips. The channel will be "a second 24-hour cable channel for food lovers and the advertisers who love them." Rachael will be joined by Bobby Flay when the Cooking Channel premiers on May 31. When originally announced, the Cooking Channel sounded like it woudl be similar to old Food Network - instructional and informational shows - rather than the reality shows that are currently growing in number. However, “'We listened to the audience and realized they weren’t necessarily saying they just wanted more instruction or more reality or more travel shows. They just wanted more,' said Michael Smith, the general manager of the Cooking Channel." The Food Network told the Times that "The new channel will have room for programs about alcoholic beverages, brunch, low-calorie eating, and food history, among other topics. A broad range of instructional shows during the day will give way to more shows driven by storytelling at night." Great stuff Rachael, congrats! Tell Robin HT I say "hi", and hope to be on the show soon!